While strategic aims generally are defined at management level the internal controlling as a subsystem has to monitor with its particular instruments the achievement of the corporate targets. The classical functions of controlling include information, control, planning and finally steering and supervision. Controlling works as an internal service supplier and especially medium sized enterprises, which have to react fast and flexible on changing market conditions need a reliable monitoring system. Knowledge in and about the own enterprise becomes the central resource with the controller as a provider of relevant data. Nevertheless the importance of a controlling system seems to play a subordinate role - especially in mid-size companies - in spite of higher demands on a transparent and comprehensive reporting information. Having “all relevant figures on the brain” might suffice the entrepreneurs subjective perception but might be insufficient for external investors such as banks and other capital donors. A constant further development of controlling methods should help to facilitate the management’s decision-making. If these requirements are not fulfilled the enterprise faces a less positive rating and finally in case of a company sale a lower price or even the rejection of a potential purchaser. However, controlling has become an essential component of a holistic corporate strategy. While bookkeeping is based on sound accounting practice (GAAP, German “GoB”) controlling is carried out mostly on internal guidelines defining the companies reporting structures with a high degree of freedom. WBut what can be called an efficient controlling? First it is essential to set up an inventory of one`s own internal accounting. Thus a holistic picture emerges which controlling components have to be adjusted, extended or initiated from scratch not only in the field of operational but particularly strategic controlling. A sophisticated controlling system won`t make your enterprise more valuable per se, but it will supply the relevant basis for decisions how a solid earnings growth can be achieved. Controlling will finally be considered as an internal service provider and supports not only the decision-making ability of the management, it isl also part of a comprehensive Corporate Governance. In the case of a company sale the particular design of the external and internal accounting will play a critical role not only for the company`s rating, but also for the sales price and the potential investors purchasing decision. Cost and performance accounting are clearly structured? Cost centers are adapted to a changing organization? Staff being assigned to the appropriate cost center? Is there a reliable cost object controlling? Does production data acquisition (PDA) exist? 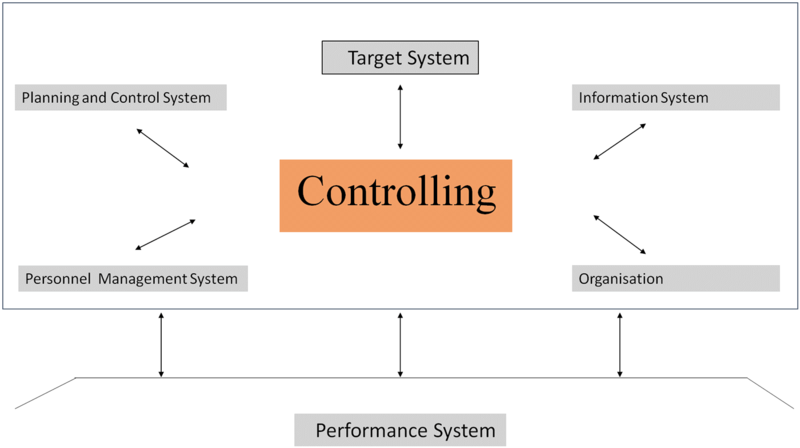 Further controlling components in use (Target costing, activity based costing etc.)? Are the “right” KPIs (Key Performance Indicators) identified? The analysis of the controlling tools and the evaluation of the reporting give further information concerning the strategic orientation of the company. Critical analysis of the KPIs collected and evaluation of their importance for a higher transparency of all operating divisions. Expense items can get identified and analyzed short term, measures can be taken, while earning potentials may be enhanced. Planning makes future business developments visible. A company-specific reporting structure supplies you only with the relevant information. Process optimization and data tracking accelerate reporting and reduce high expenditures. Strategic decision-making can be supported by controlling, undesirable developments will be made visible at an early stage. A higher transparency of cost and earning structures provide confidence for financiers and investors. An improved organization will as well increase the value of your company.